Surrender Dorothy was actually the first Marc Jacobs Lovemarc Lip Gel I got, before Showstopper. You can read my full description of the texture and finish of this Marc Jacobs lipstick in the link above, so I won't repeat it here. This review is mostly about the color, a warm tomato red, which may be my favorite thing in the universe right now. 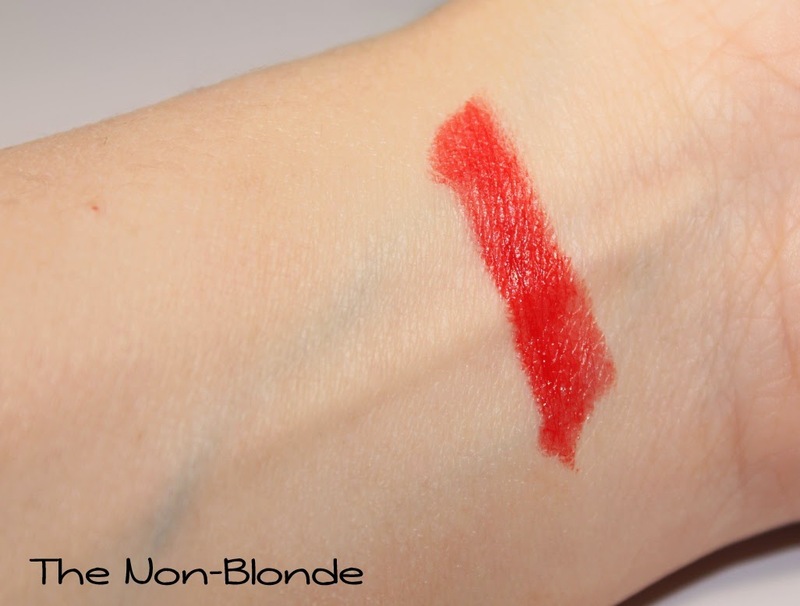 I wear Surrender Dorothy as I would any other full coverage red lipstick: over smooth and hydrated lips, paired with a lip liner, and applied with a brush. For a slightly more casual look it can be applied over a lip balm or mixed with one if you really want a gel effect. This is such a fresh and delightful color that brings life to the face on the dreariest of days. Like all Marc Jacobs lipsticks (and other makeup products), the packaging is nice and hefty. The case is magnetic and shuts with a satisfying click. 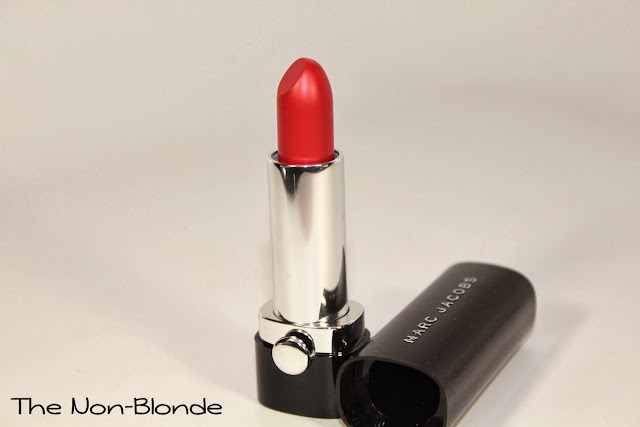 I can't detect any scent or taste, and I only loved the texture better this would have been one of my top lipsticks. As it is, like with Showstopper, I wear it for the color. Marc Jacobs Surrender Dorothy Lovemarc Lip Gel ($30) is exclusive to Sephora. Ordered Showstopper after your post about it the other day and can't wait for it to arrive. Just went and ordered Surrender Dorothy now as well. What utterly glorious reds! I will gladly overlook the issues you mentioned and more, frankly, for truly beautiful reds. They've become an addiction I have no desire to get rid of. I've been wearing this one non-stop for a month now. The orange is so subtle on me that t it reads like a true true red. Have to say that the texture works great for me but I agree: the color's the thing on all these new Marcs. And yes, the magnetic closure makes me feel better for blowing bucks on it.